So you’ve decided you need an island retreat to really disconnect and enjoy your vacation or backpacking days. You want breathtaking beaches alongside beachside bungalows alongside bikinis and boardshorts. You want tiki-this, tiki-that. 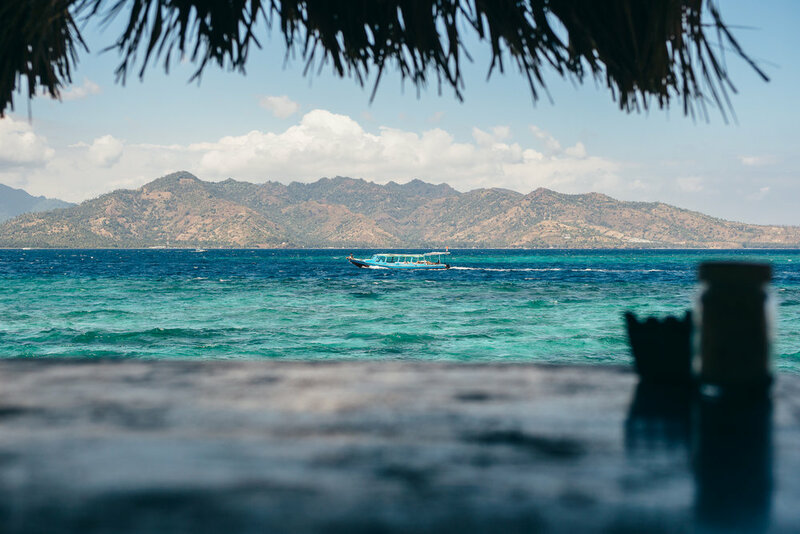 One of the best ways to live this dream is to visit the Gili Islands, or “small island islands,” according to the definition of Gili in the local language. Off the coast of Lombok, Indonesia, these small island islands provide a much-needed respite and adventure for those who visit them. So there are three of them – can they really be that different, given how close they are? 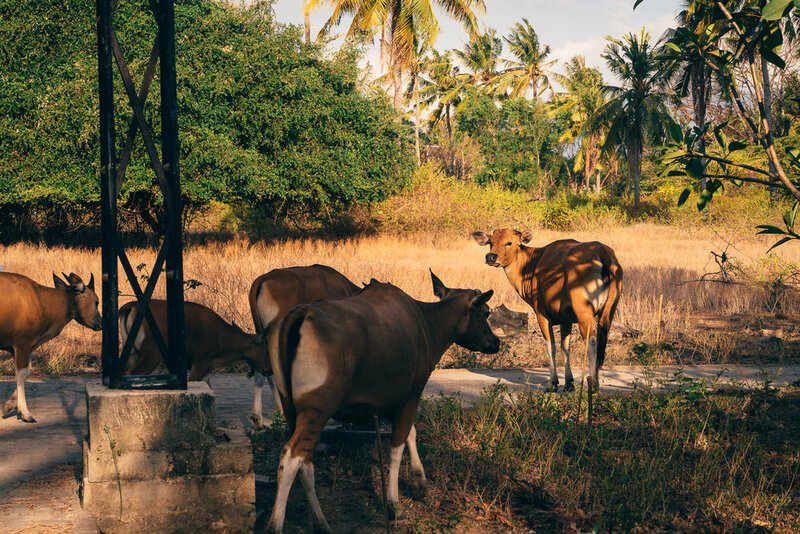 The Gili islands are actually as dissimilar as they are alike. Sure, they share the same DNA – gorgeous beaches, coral reefs, tropical environments and climate, no cars or motorbikes or fuel-powered motor vehicles – but they have different personalities, if you will. They’re brothers, separated perhaps by a few years each. 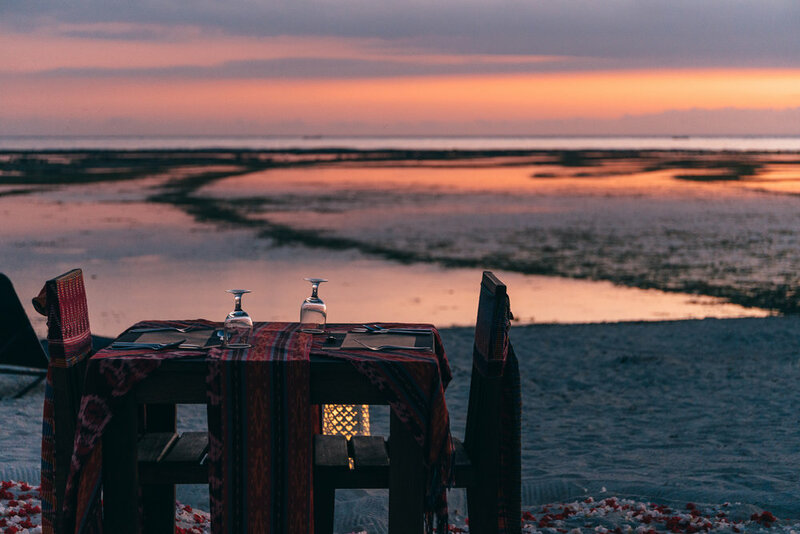 Gili Air would be the older, more mature and established brother – social but very relaxed. Gili Trawangan (or Gili T) is the youngest: rambunctious and rowdy, full of life and activity. 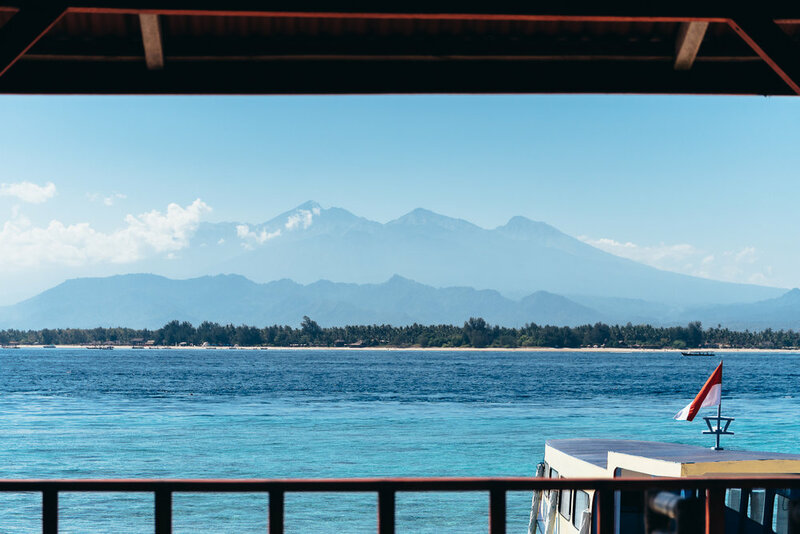 Gili Meno is the oft-ignored middle child that grew up admiring older-brother Air – which is to say: Meno is just as serious and laid-back, if not more. 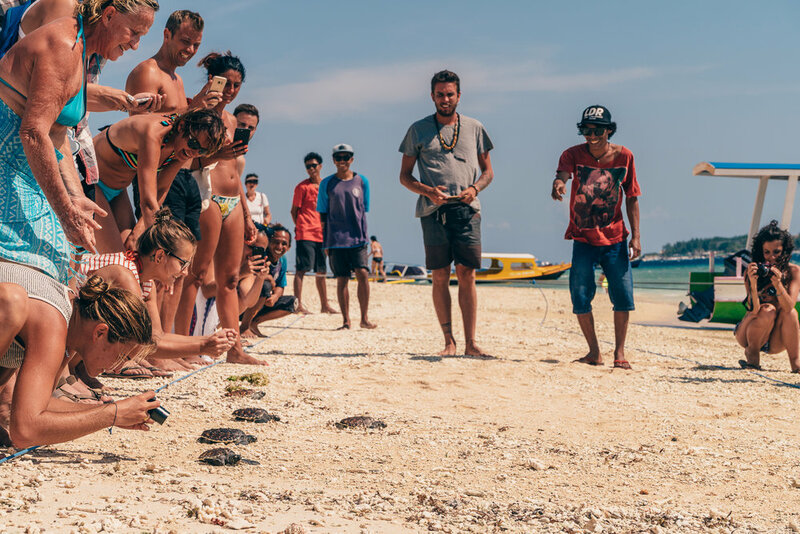 This turtle, upon being released, is about to get to know the Gili Islands as well. The firstborn – laid-back, relaxed, and just social enough to be considered social. Gili Air is the big brother and is physically the closest to parent Lombok. 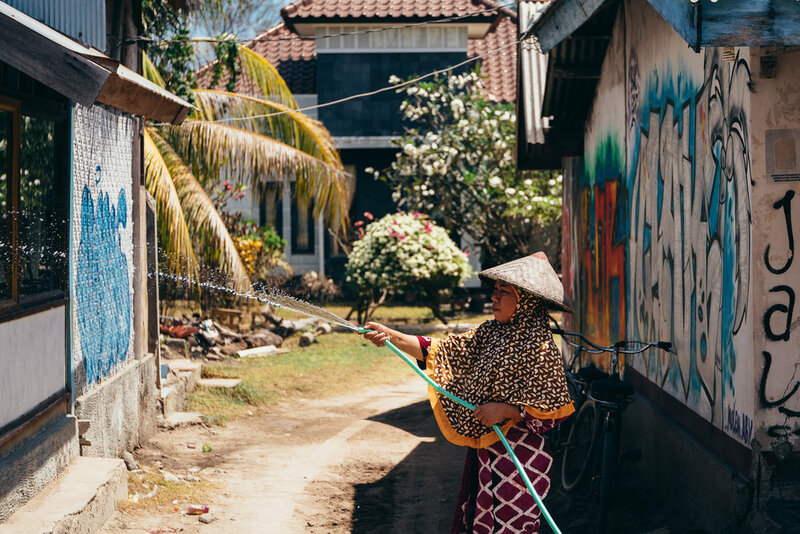 This proximity means that while Gili Air is isolated, he is also resourceful. This is where we wish we would've eaten dinner. We found Air to be filled with backpackers, couples, and families (very family friendly!) 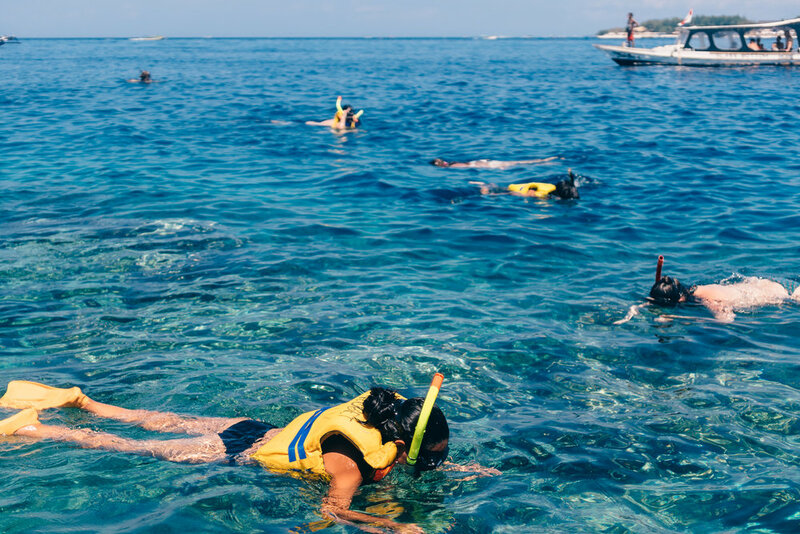 for many of the reasons mentioned above (quieter, calmer, close to Lombok, decent amount of services and resources available), but also because there are a ton of island-based activities available. 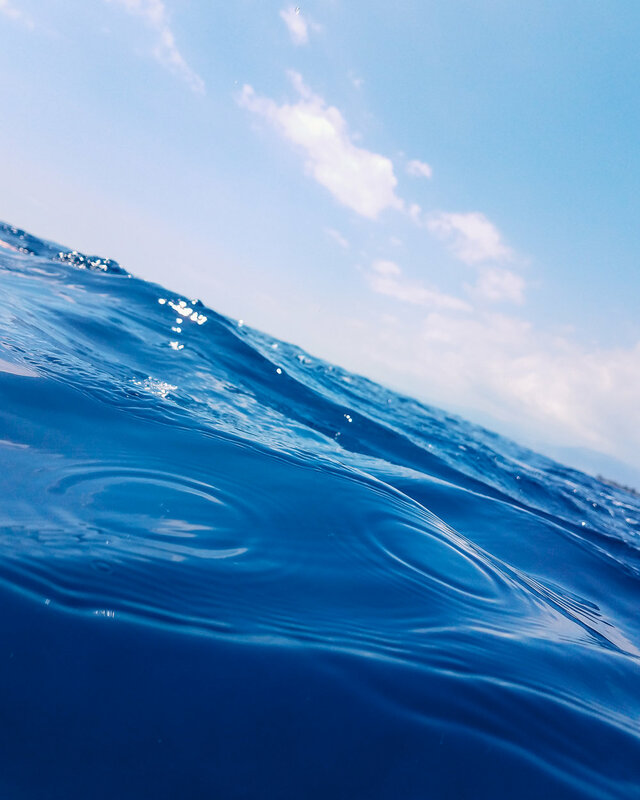 With Air, it’s not just about getting your feet wet and going for a light swim; there’s great snorkeling available off the east coast of the island (with turtles for you to make friends with), stand-up paddleboarding and surfing, many scuba diving opportunities, all kinds of boat tours, and cooking classes. One unique difference we noted: Air has so many restaurants that are literally a few feet away from the beach, i.e. on the shore. We didn’t note any (or as many) on the other islands and we definitely missed it when traveling to the other islands. Although older brother Air is quite easygoing, there’s tons to do when done relaxing and kicking-back. The youngest, Gili Trawangan is by far the most popular of the brothers, getting most of the attention lavished onto him. This little brother grew up in rebellion, partying heavily through the years given how far away from parent Lombok he is (the furthest). Not only that, but Gili T is the tallest and largest of them all, towering in size over brothers Air and Meno. Marta, trying desperately to make turtle friends. 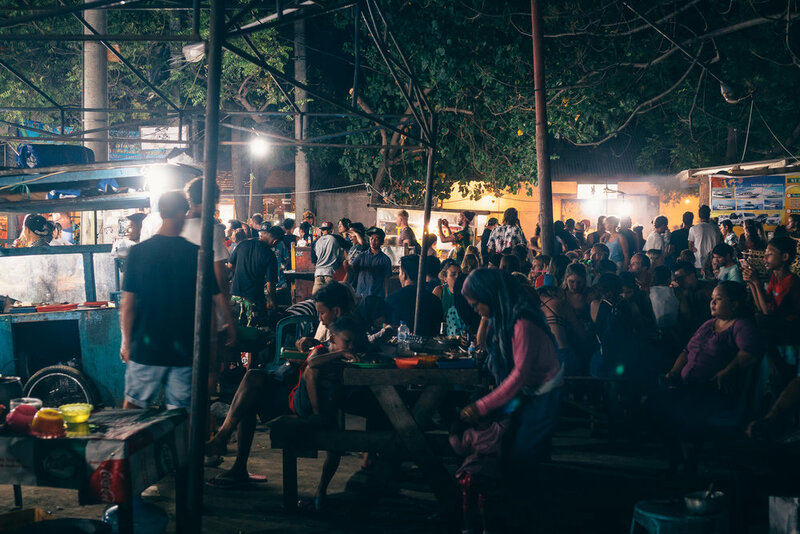 Trawangan is most known for partying and is therefore best for travelers, backpackers, and couples who, well, want to party. Besides the college-type bars throughout the island (yes, beer pong included), you’ll also find a number of restaurants and even a projector-based cinema right on the beach. Convenience stores also round out what is irrefutably the island that is most suited to the droves of tourists that visit it yearly. One unique difference we noted: This is the island best suited for bicycling due to the well-paved paths (wider and more prevalent sidewalks, less sand). By our approximation, Air is about half-sand, half-bicycle friendly, while Meno is the worse of the bunch. Gili T, however, is fantastic for jogging and peddling through. The young and wild Gili T is fun. Visit the island and get to know him at least for a night or two. *Unfortunately, our favorite, inexpensive food stall closed on our last day and relocated towards the middle of the island, where they surely won’t receive as much traffic. We asked and they informed us that it due to some government-enforced reason. In any case, the other stalls were slightly more than expensive than they should've been, considering it was basically street food. The middle child, Gili Meno, is knuckle-sandwiched in between both brothers, smaller than either of the two. Meno resembles Air; they grew up together, but at some point Meno decided to isolate himself even further. He wanted less noise, less development. As such, he adopted a more natural and care-free attitude than his nearby brothers. 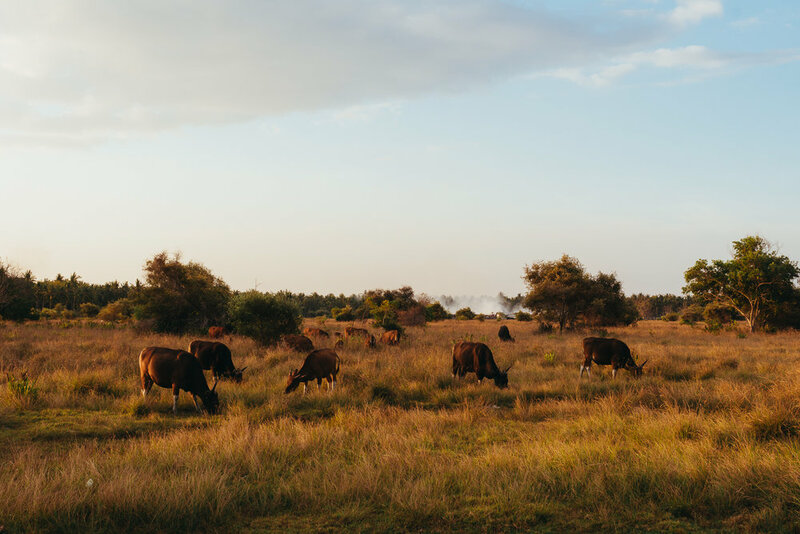 Meno is the quietest of the bunch, best for those who truly want to disconnect and experience nature beyond the countless tiki-hut bars and restaurants and tourist amenities you may find on the other islands. You’ll still see some of that in Meno, but much less. 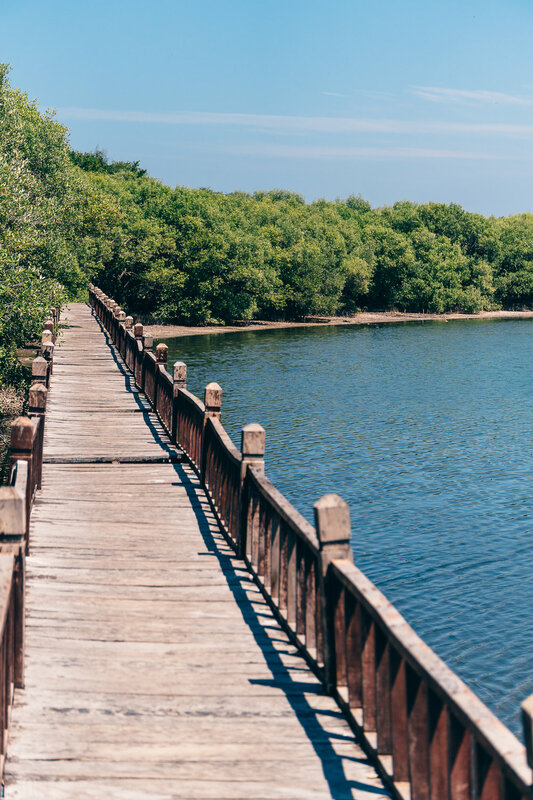 Instead, there’s a beautiful, unperturbed lake that awaits in the middle of the island, dirt paths that lead from one side of Meno to the other, and a handful of small homes, guesthouses, and minuscule shops along the way. Because it’s so small, you can walk along the entire shore in under two hours. 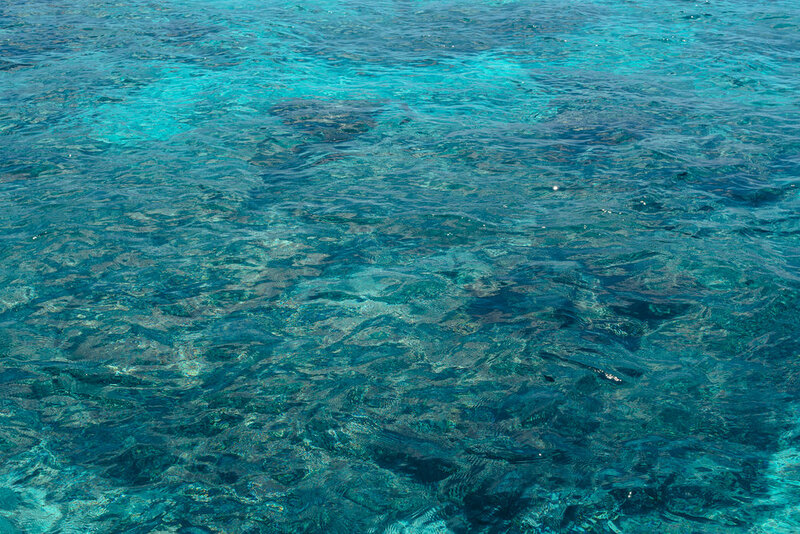 This island is also famous for the diverse sea life that you can catch as a snorkeler or diver (mainly as a diver though!). The Gili Meno Wall holds what is essentially an underwater zoo of crustaceans up for day/night divers to discover, while an entire collection of captivating underwater concrete-statues can be found just off the shore on the west side of the island. 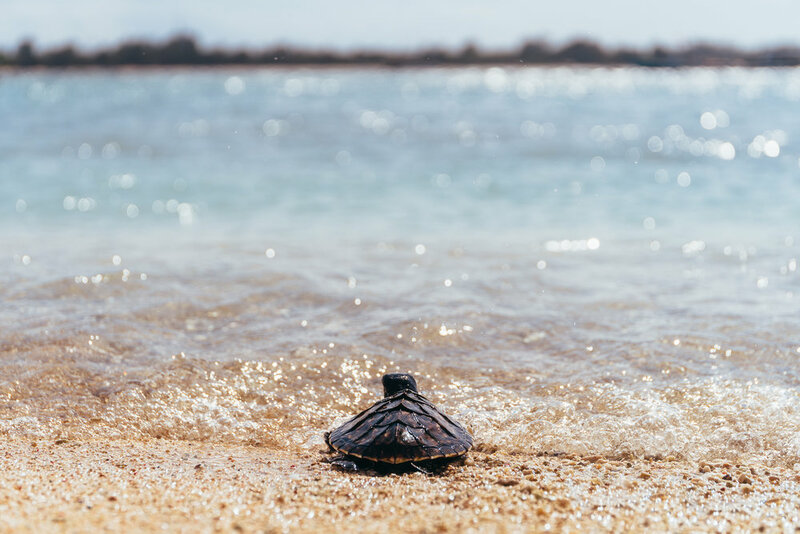 Besides a couple of instructor-led diving tours, you’ll find boat tours and turtle releases (it’s bit of a tourist money-grab, but nevertheless nice to watch rescued turtles experience the ocean for the first time). Come to this island to relax and get away from it all. One unique difference we noted: This island is quite disconnected. While that may be good for meditating and kicking back, it has its cons. Finding a decent internet is like trying to find water in the desert – someone might have some, but also be prepared to pay for it. Peace and quiet comes at a cost, at times. Middle-man Meno is an island for those that need downtime above all else. 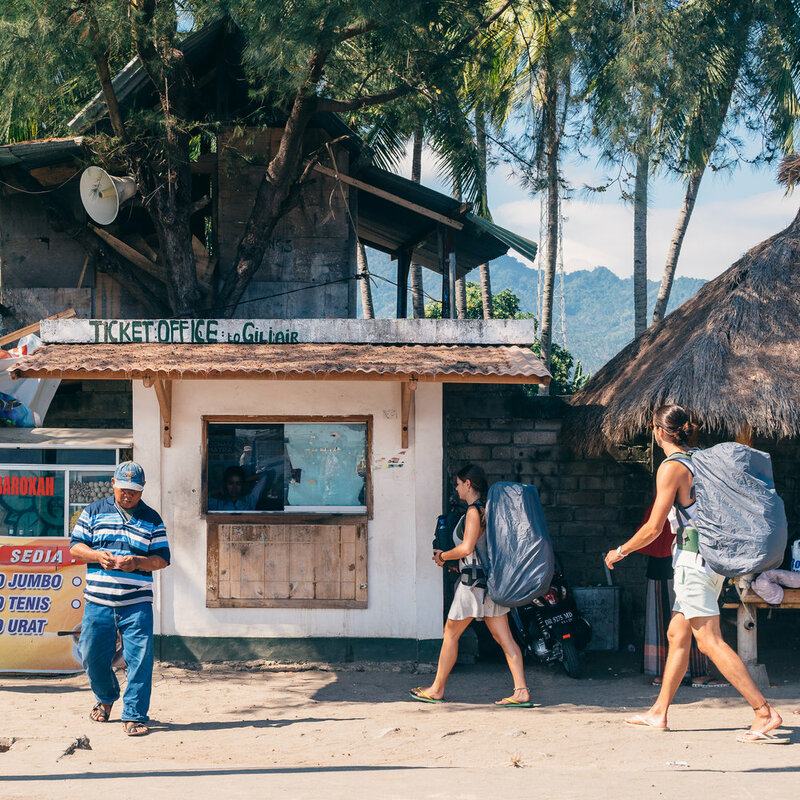 Getting to the Gili Islands is simple. First, get to Lombok – either via airplane or by boat. Then, the main point of departure is the Bangsal Harbor. 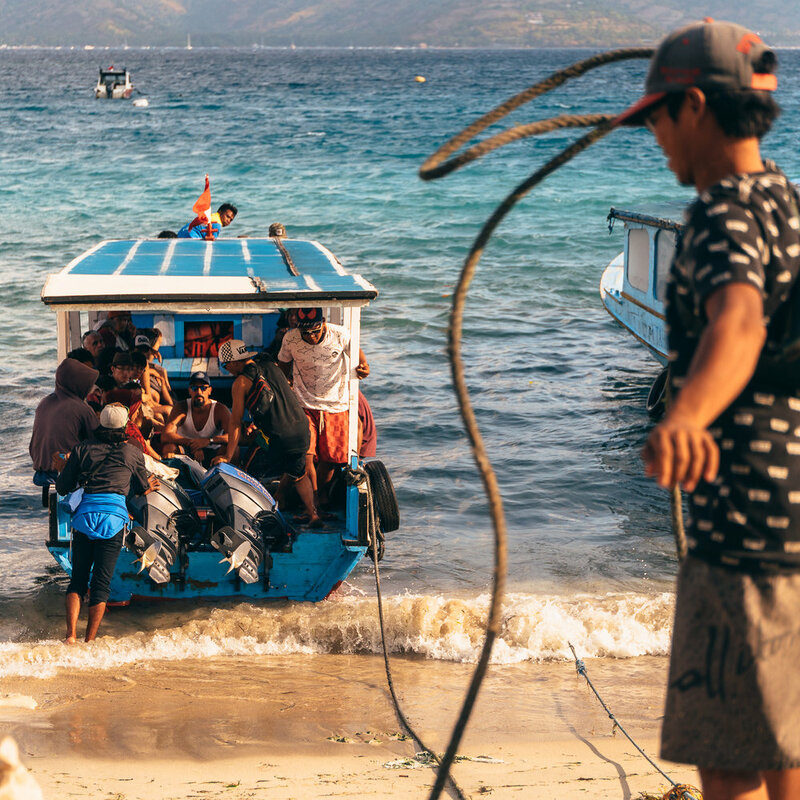 Once at the harbor, you have the choice of riding like a local and taking a public boat to the Gili Islands, or taking a speed boat at a much higher cost. 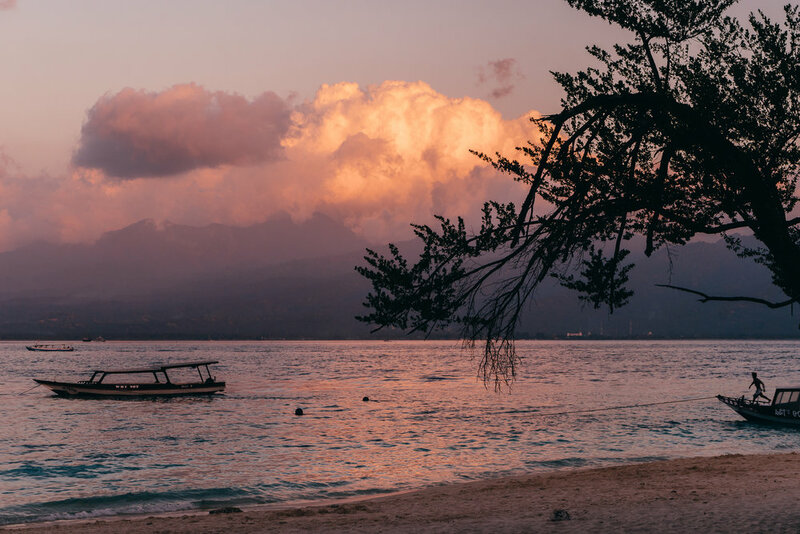 Either way, the boat ride is just a few minutes away from the paradise that is the Gili Islands. 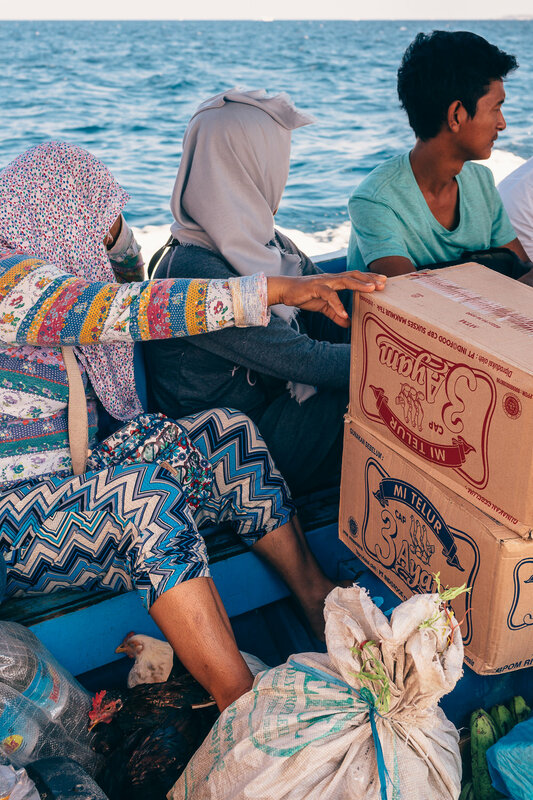 We had been staying in the city of Mataram, Lombok, so we first took a private shuttle bus straight to Bangsal Harbor in the morning, purchased a public boat ticket at the official ticket office to Gili Air*, and then waited for the boat to reach capacity. Once it was at capacity, we took off with a group that included a chicken, bags of potatoes and boxes of produce, and locals. It was an entertaining introduction to the Gili Islands (pictured above). Which Gili Island is the Best? 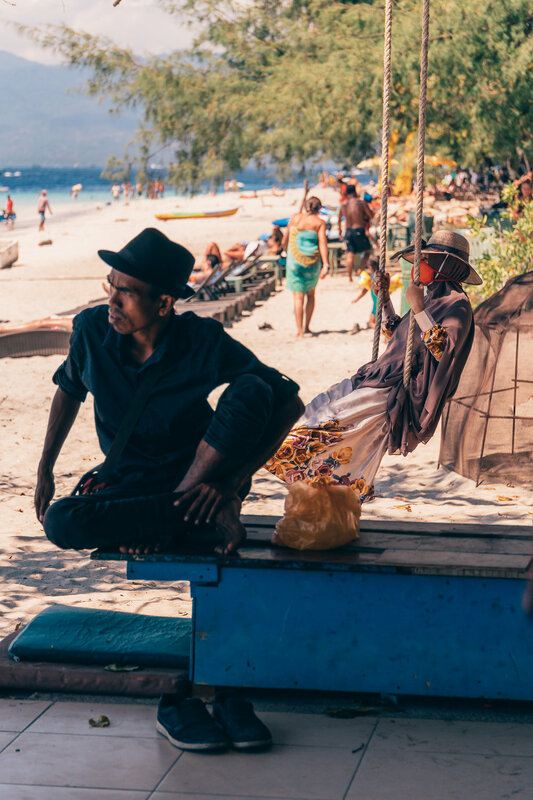 To travel to the Gili islands, regardless of the one(s) chosen, is to enter into another world. Even as backpackers who have been “on the road” now for several months, the islands were captivating when we arrived and nostalgia-inducing upon leaving. If you’ve visiting for a few days and don’t have weeks to put aside for the islands (aka the brothers) – which one do we recommend you meet? As a backpacking couple who was in desperate need of a few days of relaxation, Gili Air was our favorite. We felt it had just the right amount of amenities and resources and beachside-restaurants while still being disconnected and blissful. However, we recommend visiting all of the brothers! They all live on the same block and are easy to visit via longboat – the rides take a few minutes and only cost a few dollars! Out to you: We’re curious – if you’ve visited, which one did you like the most? And if you haven’t visited yet, which one do you think would suit you best?